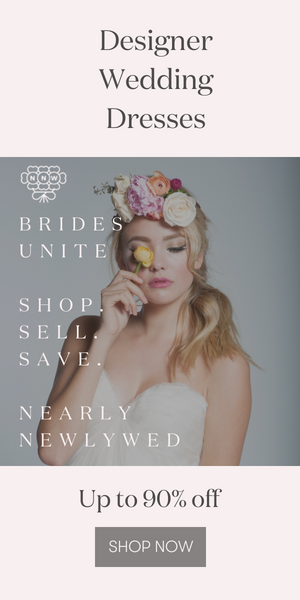 There are so many exciting things happening all the time behind the scenes at Junebug, and much of the fun revolves around getting to know the amazing businesses that we’re proud to recommend to you as you plan your weddings. We want to be sure you know about all this talent, so here is our very first “Welcome to Junebug” blog post showcasing some of the newest additions to our Seattle and Southern California Plan Your Wedding Hotlists. Check them out! We hope you find the perfect match for your wedding! E.E. Robbins – The Northwest’s engagement experts take our breath away with their stunning rings, and their caring, knowledgeable staff breaks all the intimidating rules of old school sales to put you right at ease. 321 FOTO – This local Seattle business will lend a touch of whimsy to your special day with their roomy photo booths and fun personalized options, including costumes. Novelty Hill-Januik Winery – Wine and dine your guests at this contemporary and intimate winery where the food is seasonal and organic and the wine is always perfectly matched to each scrumptious course. Erin Hunt Hair and Make-Up – Creating beauty from coast to coast, Erin Hunt brings her passion, energy, and excitement to every bride she works with, and shes an expert at translating your vision into a look that is truly gorgeous and truly you. The Washington Athletic Club – Filled with contemporary elegance and time-honored tradition, the warm, highly-personalized service provided at the WAC makes tying the knot an effortless proposal. Carina Schoen – Traveling Stylist – This talented hair stylist considers it an honor to be part of a couples wedding day and knows that theres never a more important time to love your look. Columbia Tower – Featuring amazing views of the Seattle skyline and waterfront, your wedding will definitely be a day to remember at this chic, classy venue. Something Blue Boutique – Turn the gown of your dreams into a reality, and have a fabulous fashion experience in comfortable atmosphere. 11H Entertainment – Bringing tons of energy and life to your reception, this sought-after group is made up of fabulous djs and musicians. Their Fusion Experience combines live and recorded music to create unique entertainment that will keep everyone on the dance floor. Zenadia Designs – With nearly a decade of award-winning experience, Heidi incorporates her love of nature and texture into exclusively designed invitations, programs, menus and more, each piece fashioned with love, talent and extraordinary skill. Taglyan Cultural Complex – Showcasing one of the largest stained-glass ceilings in the world, this stylish venue combines old-world European elegance with state-of-the art-technology, and leaves nothing left to be desired. 24 Carrots Catering and Events – Phenomenal food, outstanding service, and insanely stunning presentations are the basic ingredients of every one of their celebrations, and their talented team delivers perfectly planned menus and top-shelf event services. Scott Topper Productions – Always classy, professional and tons of fun, Scott is well known as a DJ for creating seamless transitions and hitting the perfect note at memorable, upscale wedding receptions and parties. New York Food Company – More than an award-winning caterer and planner and and more than a guiding hand, the talented, caring staff at New York Food Company is bound to become an integral part of your wedding day success. Nisie’s Enchanted Florist – Highly respected florist and former fashion designer, Nisie Vorachard, has a reputation for setting trends at unforgettable weddings and events, from lavish and elegant to rustic and intimate. See beautiful her work in the images above and below.